Before you can start playing your ukulele, you have to tune it. And this can seem challenging when you’re a complete beginner. But if you persevere you’ll get the knack in a short time, with the help of an electronic tuner or an app. Click this link to watch my Youtube video about tuning your ukulele. 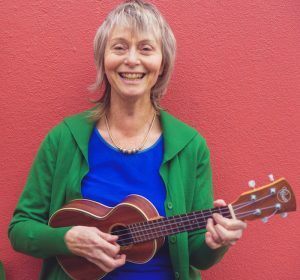 Up till a few years ago, beginner ukulele players had to learn to tune by ear straight away. Tuning by ear means learning to hear the different notes of the strings. But these days electronic tuners and tuning apps make it a lot easier to get your ukulele in tune. And your “ear” – your ability to hear the different notes – will get better with practice. I’ve known tone-deaf people who learned to sing in tune with the help of an electronic tuner. The idea that some people are tone deaf is unique to Western culture – no other cultures worldwide have tone deaf people. Some people have more of a knack for music, but it’s a matter of experience and practice. What notes to tune to? The ukulele tuning I use is called “ukulele in C”. It’s by far the most common ukulele tuning. There are other tunings, but especially if you’re a beginner don’t worry about these. The notes, from the top string downwards (when you hold the ukulele in playing position) are G, C, E, A. A great place to start is with an electronic ukulele tuner, which clips to the ukulele. You can buy these from specialist music shops for under $30. Make sure you get a tuner that’s specifically for ukulele. There are chromatic tuners that work for all instruments, but they’re not easy for a beginner ukulele player. Here’s a link to the tuner that I have. It has a USB recharger, so no batteries to replace. If you’re in Hamilton, New Zealand, Shearer’s music shop sell these for $NZ27.50. Set the tuner on “ukulele” or “ukulele in C” and it will automatically show the right notes. 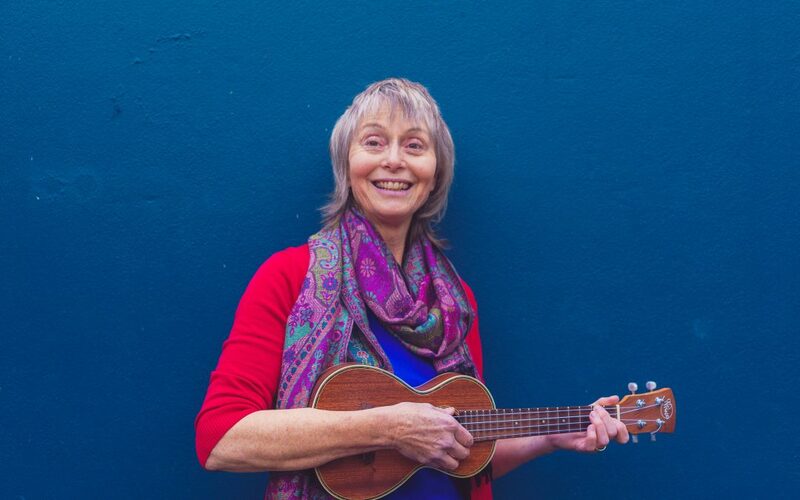 NB it is much easier to practice tuning when the strings aren’t too far out of tune, so ask a friend or a music shop person to tune your ukulele for you, to start with. Ukuleles go out of tune very easily. Check the tuning every day or every time you play. Sometimes you’ll find that your ukulele goes out of tune after you’ve played a few songs. That’s no problem when you know how to tune it! Click this link to watch my Youtube video about tuning your ukulele. 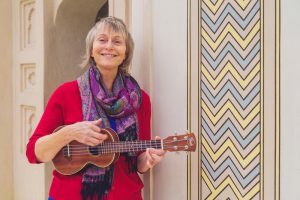 Click here for my beginner ukulele toolkit post.